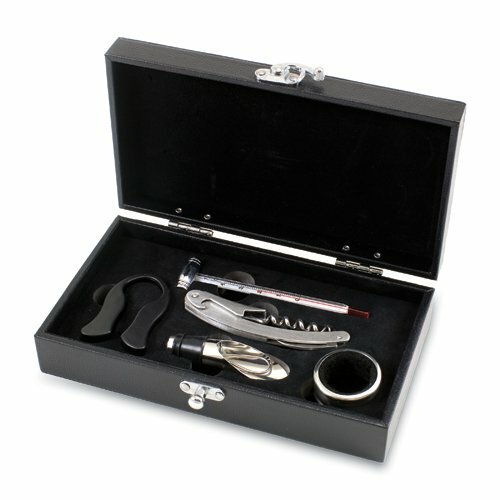 The Syrah is a five-piece box set of wine accessories that is a welcome addition to anyone's wine bar. 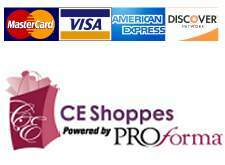 It includes 1 stainless steel waiter-style corkscrew, 1 drip ring, 1 wine thermometer, 1 foil cutter, and 1 pourer/bottle stopper. 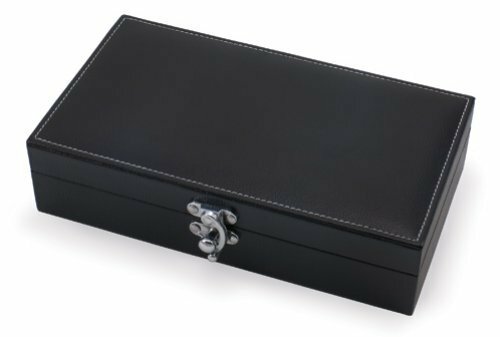 The box measures 8-3/4in x 4-29/32in x 2-1/8in and is made of black premium leatherette with white accent stitching. The Syrah makes a thoughtful gift for your wine-loving friends.